There’s something about beautifully designed landscape space that is very unmistakable. It makes you feel good! Plants and flowers bring color and fragrance to your Cincinnati home and creates a comfortable retreat for your family and friends. 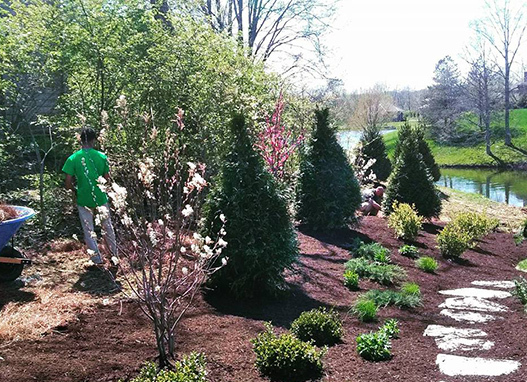 Creative Scapes can design a memorable landscape treatment that will add enjoyment to your life and lasting value to your property. We use only the finest materials to create these designs. Please contact us anytime for a free estimate on any landscape design project. You want to love your beautiful landscaping, we can turn your dreams into reality! We are extremely easy to work with and can help in many different ways on any project!